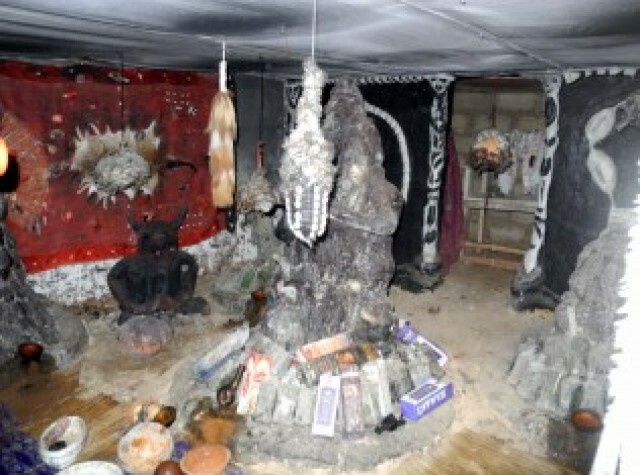 It has been reported that most politicians especially those from the South-South region use diabolical means to get into power and they get this power from a shrine in Cameroon. It has been revealed that most South South politicians have formed an habit of applying diabolical method to get power. Recently, a check was made and it was discovered that virtually all of them, in one way or the other, have come to this shrine in the Republic of Cameroon for power. In fact, it has now become an attraction for many politicians from the South South Geopolitical Zone. This particular shrine, as we learnt, where these politicians visit for spiritual powers is situated on a hill top, somewhere very close to Danere, a border village between the Republic of Cameroon and Nigeria, near the Bakassi Peninsular. The shrine is clustered and controlled by a bread of native doctors who are acclaimed to be able to change political fortunes. The shrine is called “Kapeng” cult and highly dreaded by a lot of people living around the area. Findings revealed that that most politicians from the states of the South South on the pretext of being in vacation to visit some tourists’ sites in Cross River State, actually come for a different mission all together. Obeten Kekong, who is one of the custodians of “Kapeng” cult revealed to a magazine company, City People, recently that they have in last few months witnessed influx of politicians, mostly from states where elections were conducted. These set of politicians always visit the shrine between 10 p.m. – 2 a.m. daily after sacrifices to enable them scale through the elections. The politicians believe that once they are initiated into the Kapen” cult their future political ambition world be achieved.